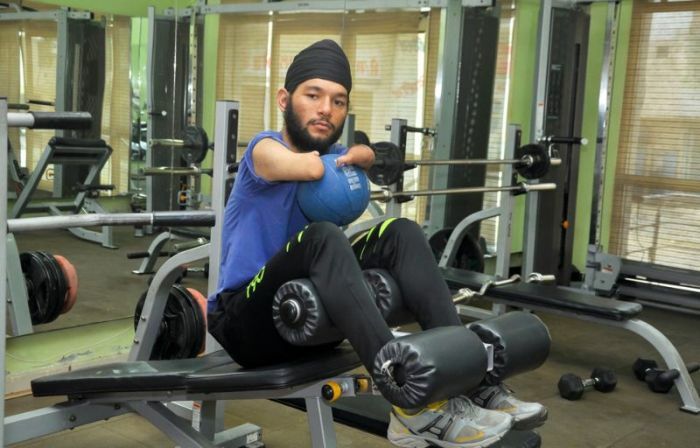 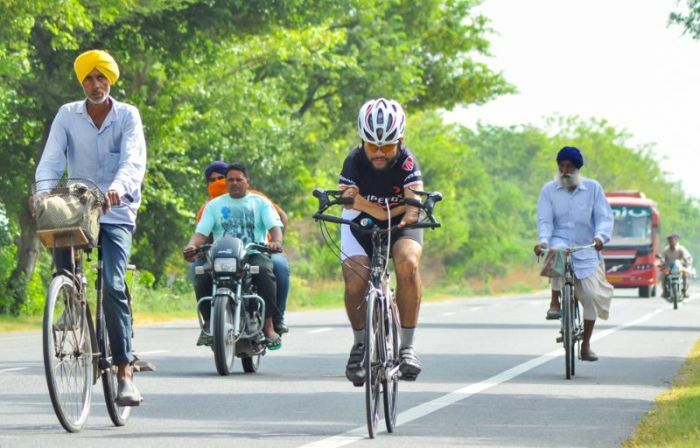 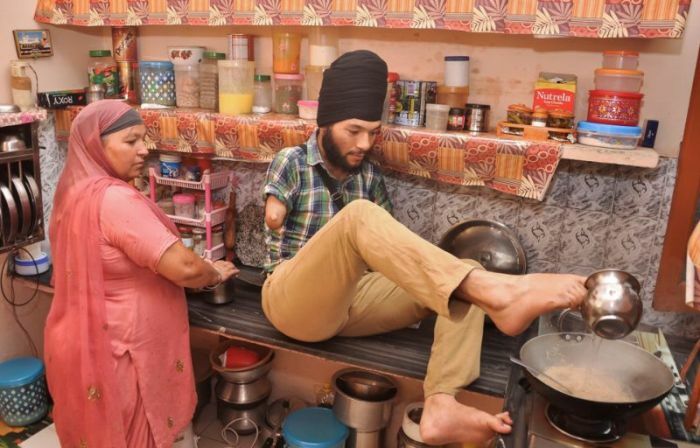 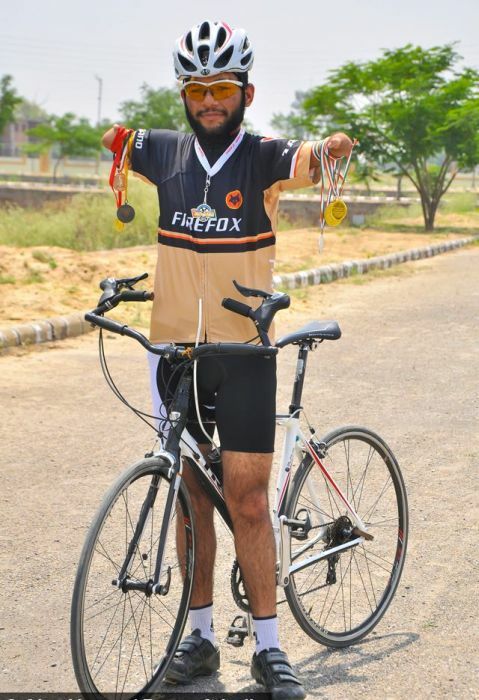 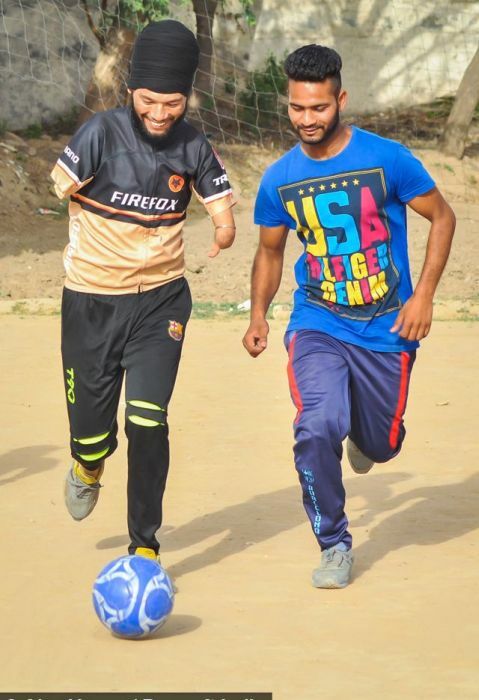 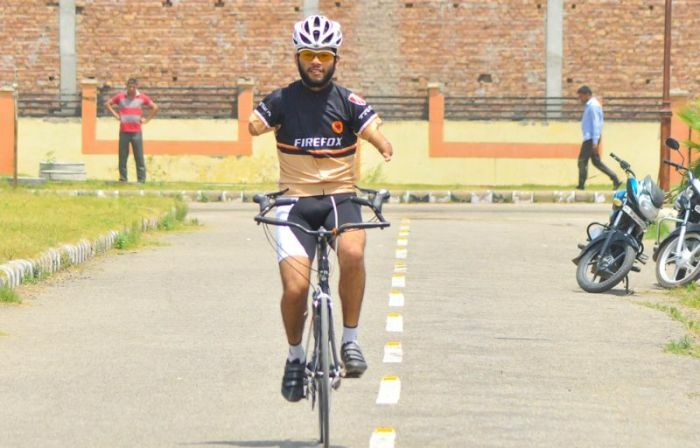 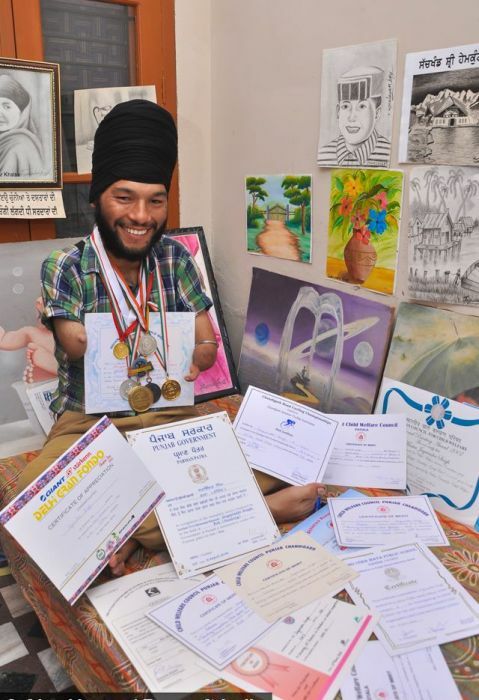 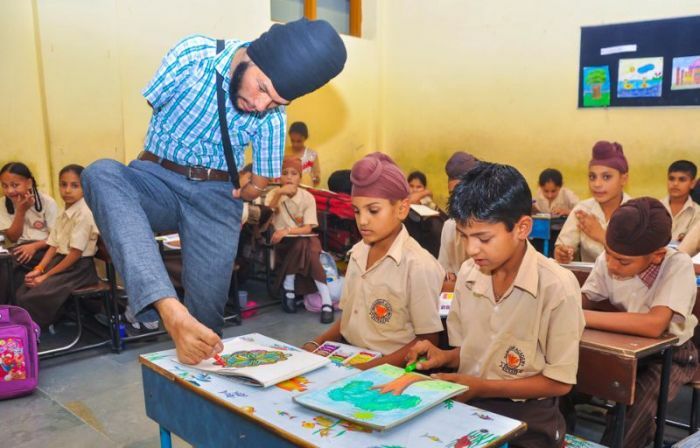 24-year-old Singh Dzhagvinder has with a genetic disorder that caused him to be born without arms. 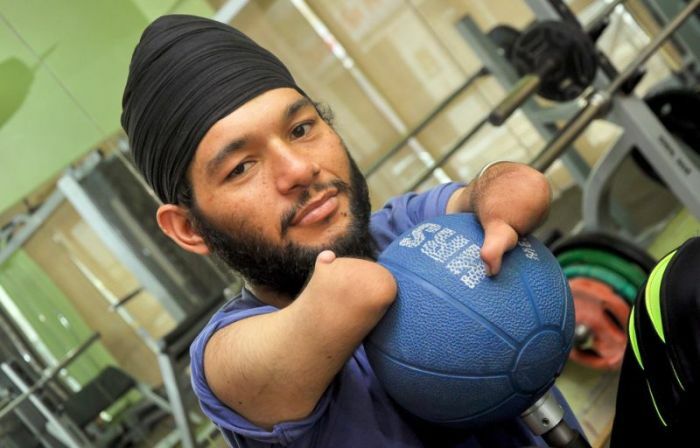 But he hasn't let that slow him down one bit. 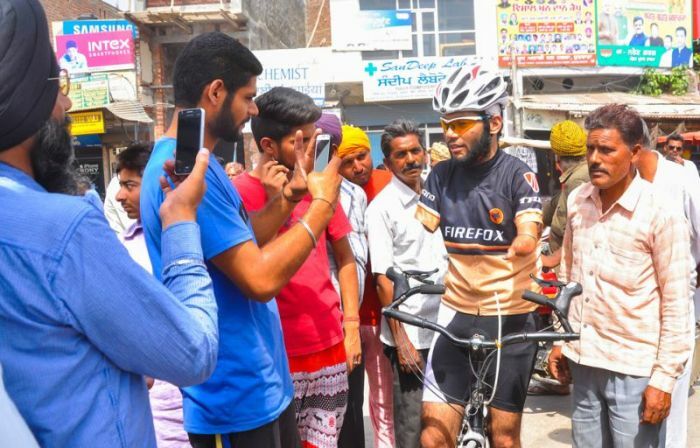 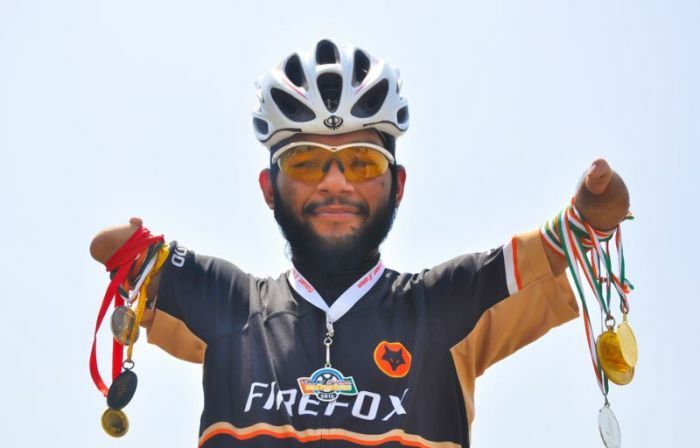 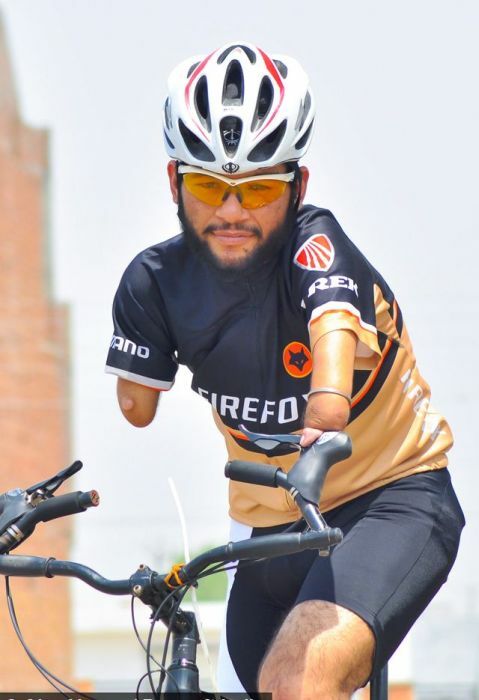 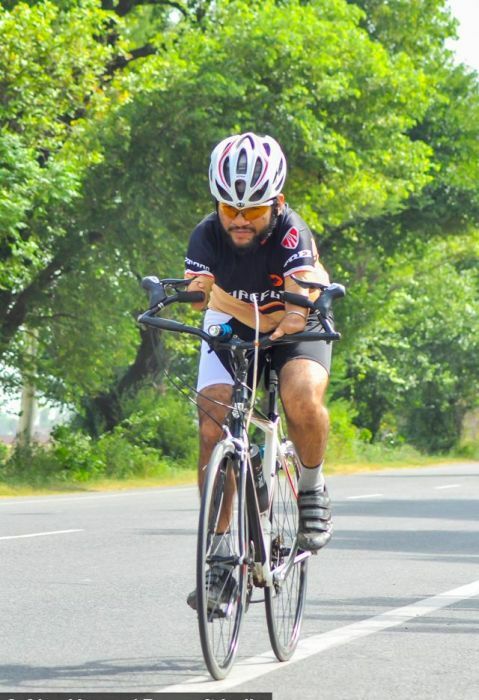 He's managed to become a cyclist as well as an art teacher and his accomplishments are an inspiration to people all over the world.